Teamalak Yacht Varnish is an extremely high gloss varnish and a marine grade coating. 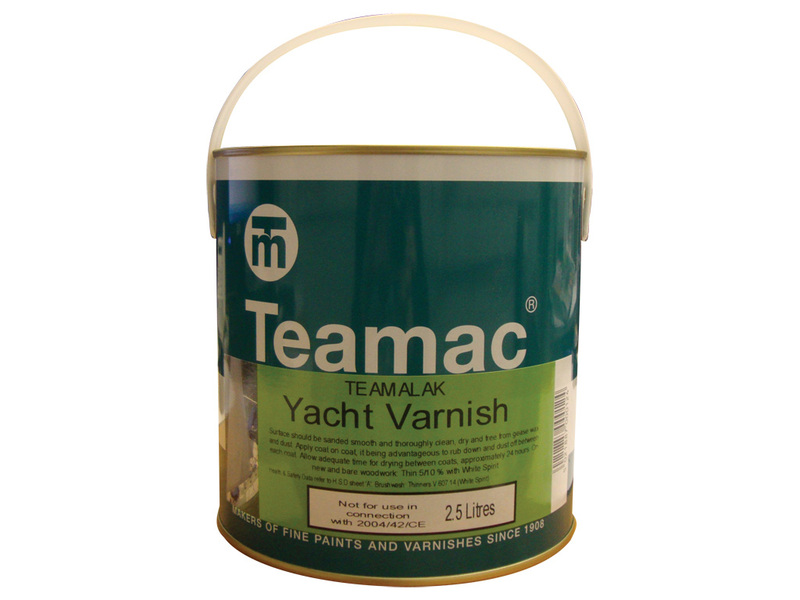 Teamalak Yacht Varnish is for use on all wood surfaces where a high gloss, UV resistant finish is required for example yacht woodwork and furniture. Recommended for Interior and exterior use and can be used over existing paintwork to increase gloss finish. This varnish enhances the appearance of woodwork as well as protecting it.